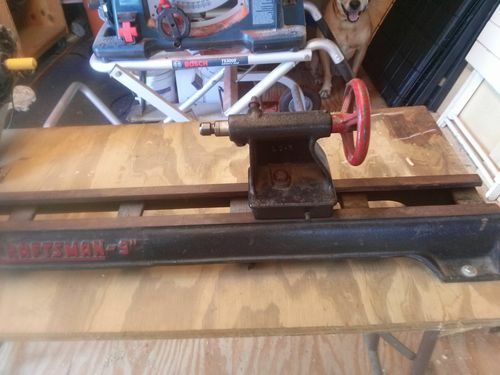 My wife got a text from her boss wanting to know if I would want a wood lathe that her friend has in her garage. I ask her what she wanted for it and got just get it out of my garage. She sent a bad cell phone picture of it. I figured what the heck so went and got it this is what I got. 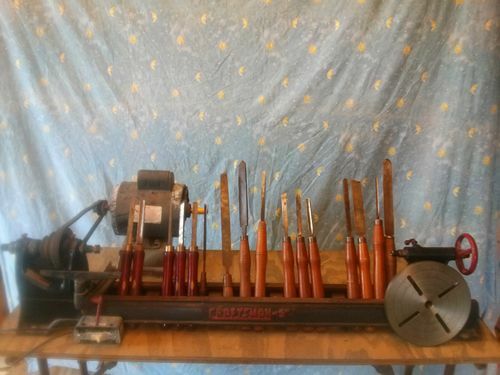 The dark handle tools on the left are Craftsman the others are Walker-Turner Co Inc. The motor is a 1hp. it doesn’t sound to good. Nice score! 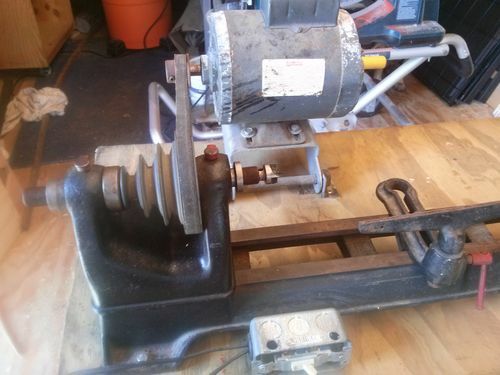 Very cool old lathe. I’d dig one of those! Send it this way …. I would have picked it up too. Can’t beat that price. The original motor was most likely a 1/3hp, 1/2hp was an optional upgrade. Having a 1hp will be nice, maybe a motor shop can get it back into fighting shape. Looks like it has bushings instead of bearings, might even be possible to swap ‘em out if you don’t want to mess with oiling them all the time. Spindle looks like mine which takes 6203zz – 3/4” x 40mm x 12mm bearings (yep, mixed standard/metric size). 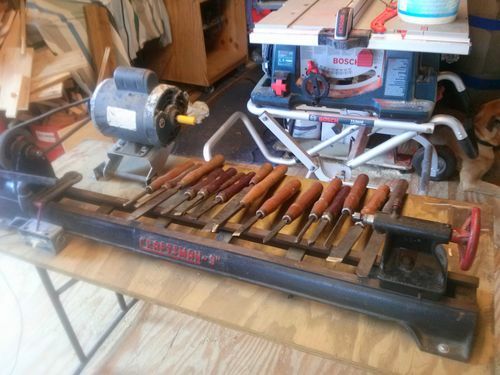 Instant machinery at a price you just can’t beat. Have fun cleaning, restoring and tuning… good luck with them. 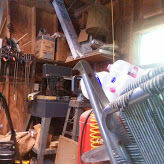 It’s hard to tell exactly what that band saw is, but it resembles the craftsman 12” tilting head saw that I have. I’m going mostly by the base to make my guess, so I could totally be wrong.